Hey ya'll and happy only Tuesday...yup only Tuesday. However- this week is going to be a short week and I am thrilled! Thursday I am going down to Durham to stay with Tiff & Joe for some Halloween crafting, good food, scary movies and bff time! (We're seeing Annabelle together because no one else will go with us haha) Speaking of movies- saw Gone Girl and A Walk Amongst the Tombstones this weekend and both were great! 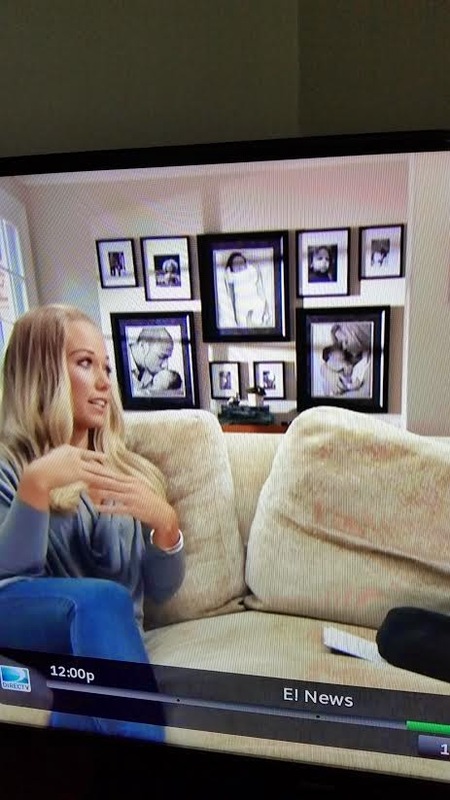 So I was watching the Kendra interview that I recorded on E after seeing it on E News and had to pause it to share her gallery wall. I love going on Pinterest and seeing different ways to arrange gallery walls and hers was just so simple and perfect! I'm thinking I need to re-create but maybe with gold frames and color! Next up on my ramblings list- Blake Lively and Ryan Reynolds expecting? Can we all just take a moment to really consider how glamorous and beautiful this child is going to be? Her baby bump pic/announcement was gorgeous enough! So excited for them! And how about we throw some funnies into the mix- I clicked on this article about Scott Disick and almost died. I don't regularly watch the KUWTK (mostly bc it is always on E so you can constantly catch re-runs) but he makes me laugh so hard that I almost can't take it. You have to click through this article to see what I mean! Lastly, I know its not homemade or anything but if you're in a bind for time and want a GOOD taste of Fall, pumpkin spice cookie- look no further than these babies! They are so dang good and the glaze that it comes with makes it look straight out of a bakery! I will definitely keep these on hand and be trying other things from the brand. 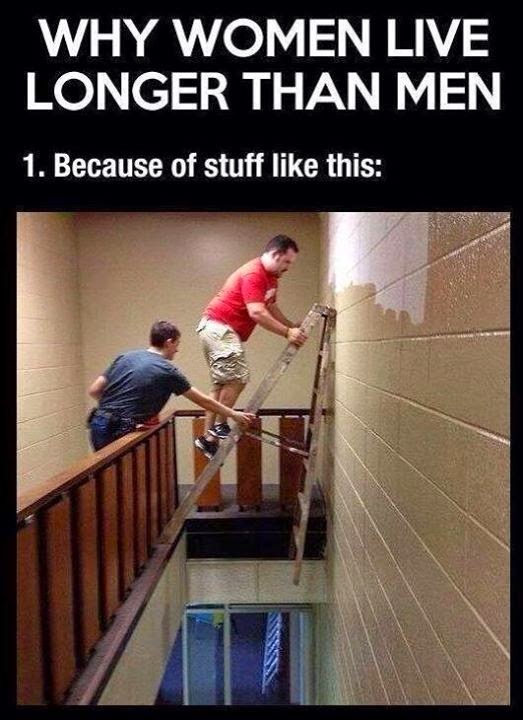 We are dreading painting our high walls over the stairway, too!!! Seriously no idea how we are going to do it so let me know what you guys do, ha! Also laughed out loud through that entire Scott Disick article... he's my favorite part of KUWTK! I cant even imagine how perfect that baby will be - like genetically perfect!!! So happy to hear that Emma is doing well and acting totally normal!! I'm almost done with Gone Girl and I can't wait to see the movie this weekend!! I was also pleased with the skins score (well, the fact that they actually scored, and it wasn't a total blow out), but still bummed at their overall performance this season. Girlllllllllllllllllllllllll, I am so much more excited about Blake and Ryan than I probably should be! I hope this baby is a girl! I LOVE Nashville! It's one of my fav shows! SO good! And OMG that guy on the ladder gave me a mini anxiety attack! For real! So glad you joined the Nashville bandwagon, that show is amazing!! And I want to see Walk Among the Tombstones- love me some Liam Neeson! YESSS to Nashville, glad you're liking it :) And Blake & Ryan are going to have one gorgeous baby for sure! Scott Disick cracks me up! Everything about this is just YES. Nashville, yes. Blake and Ryan's baby, yes. That thing on Scott Disick owning the Kardashians, yes. loveeee this! xo to you! Um, YES to all of this. Nashville is fantastic and if you're only on season one, hang on tight, you've got a wild ride ahead of you! It's such a great show. I'm going to be so disappointed if Blake & Ryan's baby is a boy... it's definitely got to be a girl. Happy Tuesday! Mmm! I want those cookies!!! Ahhhhhh! Can't believe you're just now getting on the "Nashville" wagon...but better late than never. BEST.SHOW.EVER! Scott Disick is sometimes a punk...but always hilarious! And yay for Serena having a baby...she'll ALWAYS be Serena in my book! Hah silly Emma. Glad for that cookie review! And yes, The Lord is the highlight of the Kartrashians every dang time hah. 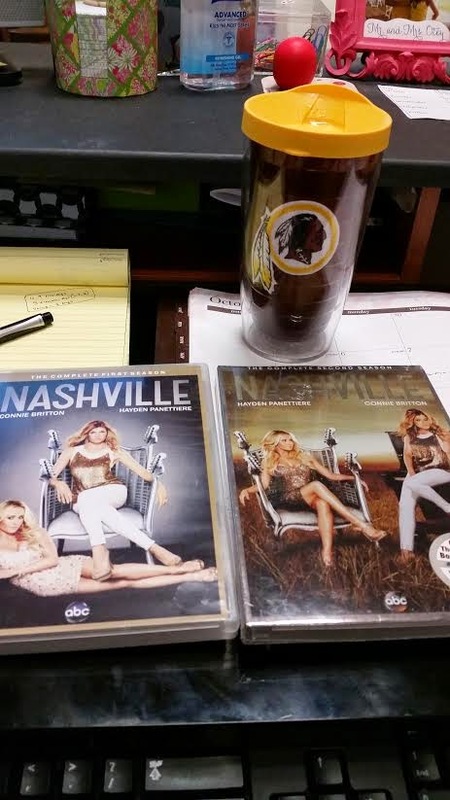 Nashville is sitting on my computer and waiting for me to watch... clearly I need to do that right now! So many good things going on here today! Not going to lie I think Scott is hilarious. Yeah for Nashville I love that show! Seriously how beautiful is she going to be pregnant?! Her bump picture is already prefect! Hope you have an awesome weekend ahead - sounds like a blast!!! I've never watched KUWTK but Scott may just make me want to! 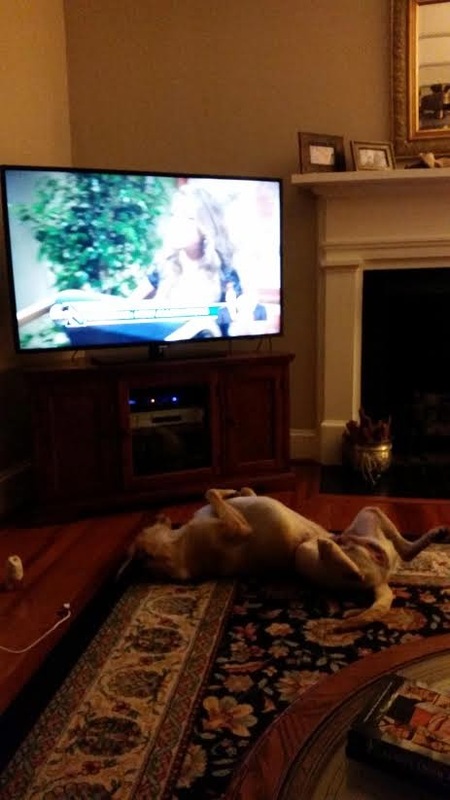 I've thought about watching Nashville too...you'll have to keep us updated on how it is. Hope you have fun with your bestie!